A Rhode Island toddler nearly died from overdosing on “medical” marijuana edibles last week, according to authorities. The child reportedly ingested “medical” marijuana edibles that belonged to her grandfather. May, 2017: Two children in Utah were hospitalized after mistakenly eating a cookie laced with marijuana. May, 2017: A ten-year-old in New York was reportedly hospitalized after mistakenly eating candy infused with marijuana. The candy appeared to have been sold to the boy’s father as “medical marijuana.” According to news sources, the piece the boy ate contained 250mg of THC–approximately 25 times a normal “serving” of marijuana. May, 2017: Emergency personnel in Oregon responded after a woman called to report she began experiencing hallucinations and abnormal breathing following marijuana use. The woman was transported to the hospital. The next day police and medical personnel responded to a woman who had overdosed on chocolate laced with marijuana. March, 2017: A two-year-old suffering from lethargy was taken to the hospital E.R., where she tested positive for THC–main ingredient in marijuana.The child’s daycare provider reportedly admitted to serving the child cookies that were baked in a pan previously used to bake marijuana brownies. March, 2017: A five-year-old in Ohio was sent to the hospital with marijuana poisoning after eating a gummy bear laced with THC–the active ingredient in marijuana. The child reportedly found the gummy bear in a dresser drawer and mistook it for ordinary candy. March, 2017: A high school student in Ohio was hospitalized after eating a brownie laced with marijuana. A second students also required medical attention, according to news reports. January, 2017: A Wisconsin man believed to be driving under the influence of marijuana crashed into a van, killing its driver. Police say the man responsible for the fatal accident was likely traveling around 80 miles per hour and that there was an odor of marijuana in his vehicle. December, 2016: A Massachusetts man who crashed his vehicle into a school bus full of children a few days before Christmas reportedly confessed to police that he had smoked marijuana prior to the accident. December, 2016: A Texas man was arrested after he flipped a car carrying him and at least one other passenger following marijuana use. December, 2016: A man believed responsible for a deadly crash may have been under the influence of marijuana. The man in question reportedly was speeding when he crashed into a car, injuring its driver and killing one passenger. Police say the man’s car smelled of marijuana, and that they recovered marijuana from the vehicle. December, 2016: A thirteen-year-old Michigan boy was reportedly hospitalized after smoking a concentrated paste extracted from marijuana. December, 2016: A Louisiana man arrested for striking a grandmother and her grandchild with his car reportedly used marijuana before the incident. November, 2016: An assistant principal was hospitalized–and subsequently arrested–following a marijuana overdose. The woman’s daughter reportedly provided her with cookies containing large amounts of THC, the active ingredient in marijuana, after the woman said she wanted to try marijuana for her 50th birthday. She was hospitalized after she overdosed by eating too many of the cookies. September, 2016: Schoolchildren in Utah became sick and were hospitalized after eating brownies laced with marijuana. The children reportedly acquired the brownies from a student at school. September, 2016: An Alabama woman was arrested for giving marijuana-laced brownies to a teen girl. The girl reportedly became ill and was taken to the emergency room for treatment. August, 2016: A Minnesota man crashed his pickup truck into a tree, killing himself and two passengers. According to police, the driver had elevated levels of THC, marijuana’s active ingredient, in his system at the time of the crash. August, 2016: A Connecticut man crashed his vehicle into a police cruiser after smoking marijuana. The driver reportedly admitted to smoking marijuana two hours before the crash; had marijuana in his possession; and failed a field sobriety test. August, 2016: Two dozen people were hospitalized in Ohio after accidentally ingesting large amounts of candy laced with marijuana at a musical festival. The candy was reportedly labeled “Prescribed Medibles by Dr. Greenbuds,” which would seem to indicate the candy was originally intended for “medical use.” Health professionals initially believed concertgoers had overdosed on opioids, but later realized the candies contained high levels of marijuana’s active ingredient, THC. August, 2016: Nineteen people were hospitalized after accidentally ingesting gummy candy laced with marijuana at a birthday party in California. They suffered adverse reactions including rapid heart rates, high blood pressure, dilated pupils, dizziness, light-headedness, nausea, lethargy, and confusion. July, 2016: A Massachusetts teen called 911 after his friend began reacting negatively to marijuana-laced candy. 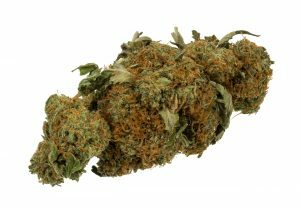 Authorities say the pair had eaten marijuana-laced candy that appeared to have come from a medical-marijuana supplier. The two teens reportedly were sent to the hospital. July, 2016: Police in Arizona arrested a mother for allegedly giving her 11- and 12-year-old children gummy candy infused with marijuana. Police say the marijuana-infused candy was originally purchased by an Arizona medical marijuana user, but was illegally transferred to the mother in question. July, 2016: Two California teens were hospitalized after eating a marijuana-laced cookie. The teens reported purchasing the cookie from a third teenager who was subsequently arrested. July, 2016: A Wisconsin teen admitted to using marijuana shortly before his vehicle missed a stop sign and collided with an SUV. The crash killed two people and put a third in the ICU. July, 2016: A California man was arrested for giving candy laced with marijuana to a 6-year-old boy and an 8-year-old boy; the 6-year-old was hospitalized for marijuana poisoning. June, 2016: A Pennsylvania driver with marijuana in his system caused an accident that injured a one-year-old child. The child, who was a passenger in the car when it crashed, is expected to suffer long-term neurological complications as a result of head trauma from the crash. June, 2016: Authorities in Arizona believe the woman who caused a deadly crash was driving under the influence of marijuana. Court documents reveal the woman was driving at least 75 MPH in a 40 MPH zone when she crossed the center line, plowing into an oncoming vehicle and killing a man and his daughter. May, 2016: A Washington man pleaded guilty to giving his 4-year-old daughter a piece of chocolate cake infused with marijuana. The man reportedly went to his daughter’s daycare, where he gave her the cake. The girl later became “extremely lethargic,” and was taken to a local hospital, where she tested positive for THC–the main, active ingredient in marijuana. May, 2016: Hospitals in Colorado reported a spike in the number of newborns born with marijuana in their systems. May, 2016: Several churchgoers were sent to the ER after accidentally eating marijuana-infused cookies following church services. May, 2016: A 7-year-old boy in Washington was paralyzed by a car accident involving a teen believed to be driving under the influence of Marijuana. April, 2016: A twenty-four year old man and two teenage girls were hospitalized after eating gummy candies containing high levels of THC, the active ingredient in marijuana. One of the girls was even admitted to the ICU. According to investigators, each gummy candy contained 450 Mg of THC, and the three victims experienced negative reactions that included seizures, hallucinations, and vomiting. By contrast, 10 Mg of THC is considered a “standard serving size” for a marijuana edible. April, 2016: A Utah man was charged with driving under the influence of marijuana following a fatal car crash. The driver later admitted he was high on marijuana. April, 2016: A Georgia woman was arrested after her five year old said he ate a marijuana cake for breakfast. The child was taken to the hospital for treatment following the incident; according to officials, his pulse was measured at over 200 beats per minute. According to the child’s mother, the cake laced with marijuana was given to her by another person. February, 2016: An eight-year-old Oregon boy was taken to the hospital after eating a marijuana-infused cookie he found. The cookie was sealed and labeled that it contained approximately 50 milligrams of THC, the active ingredient in marijuana. February, 2016: A Pennsylvania driver involved in an accident that severely injured a pedestrian tested positive for THC, the active ingredient in marijuana. December, 2015: A Michigan driver collided with a horse-drawn buggy, killing a pregnant Amish woman and injuring her other children who were in the buggy with her. Records indicate the driver had THC, the main ingredient in marijuana, in his system at the time of the crash. October, 2015: A 27-year-old Oregon man admitted to using marijuana shortly before he struck and killed a female pedestrian. August, 2015: An Indiana woman who tested positive for THC, the active ingredient in marijuana, crossed the median, striking another car head-on and killing its driver. August, 2015: A Michigan man drove his car off the road, crashing it into a tree and killing his girlfriend who was a passenger in the vehicle. Officials initially believed the driver was drunk, but later determined the driver had THC, the active ingredient in marijuana, in his system. August, 2015: A New York man crashed into a motorcycle carrying two riders; both riders died at the scene of the accident. According to court testimony, the driver admitted to smoking marijuana twice on the morning of the crash. June, 2015: A California man involved in a fatal crash tested positive for elevated levels of THC, according to police. The crash killed one woman and injured five other people. Police said the driver was at a local medical marijuana dispensary prior to the crash, that marijuana was found in his car, and that the driver admitted to smoking marijuana at the dispensary before the accident. May, 2015: An Indiana man who officials say tested positive for THC was involved in a head-on collision that resulted in the death of another driver. March, 2015: Four high school students were hospitalized after eating brownies laced with marijuana hash oil. One student was actually found unresponsive in a school bathroom after eating a marijuana-laced brownie. March, 2015: A Virginia man driving under the influence of marijuana collided with an oncoming train, killing a three-year-old child riding in his car, and injuring two other children. February, 2015: A 20-month-old Canadian toddler overdosed after eating a marijuana-laced cookie authorities say his father baked. The child survived, but suffered seizures and had to be admitted to a hospital. January, 2015: News outlets in Oregon reported a woman overdosed after she ate three gummy candies laced with marijuana. December, 2014: Oklahoma authorities reported a man with marijuana both in his system and on his person drove into oncoming traffic, crashing into another vehicle and killing its driver. December, 2014: A high school teacher in Maryland was hospitalized after a student gave her a brownie containing marijuana. December, 2014: Two middle school students in Oklahoma were rushed to the hospital after one of them reportedly passed out following marijuana-use at school. November, 2014: A Connecticut teen was taken to the hospital from school after she started having difficulty breathing following ingestion of a marijuana-laced gummy bear. October, 2014: Officials say a Washington woman with high levels of THC in her system sped through a stoplight at high speed before broadsiding another car and killing its driver. June, 2014: According to The Aspen Times, a seven-year-old girl was taken to the hospital after eating marijuana-laced candy her mother brought home from work at an area hotel. The candy was left by a hotel guest–presumably as a tip. May, 2014: A Utah man driving under the influence of marijuana crashed into another vehicle, severely injuring a teenage girl and her 30-year-old cousin. The driver was sentenced to up to 5 years in prison. March, 2014: A California man driving at high speeds under the influence of marijuana ran a red light before losing control of his car and striking another vehicle, killing its driver. March, 2014: A 19-year-old college student jumped to his death after eating a marijuana-laced cookie purchased at a licensed marijuana store in Colorado. Reports indicate the man began shaking, screaming, and throwing objects in his hotel room after eating the marijuana “edible.” He ultimately jumped over the fourth-floor railing, into the lobby of the hotel at which he was staying. According to CBS News, the autopsy report listed marijuana as a “significant contributing factor” to his death. December, 2013: An Illinois driver reportedly was traveling at a high speed and ran at least one red light before losing control of his vehicle, taking the life of a passenger. Police found marijuana-related items in the vehicle following the accident. The driver reportedly admitted to smoking marijuana earlier in the day and tested positive for THC, the active ingredient in marijuana. December, 2013: A two-year-old in Colorado overdosed and was hospitalized after eating a cookie laced with marijuana. News outlets indicate the girl found the cookie in the yard of an apartment complex. As we keep saying, marijuana may be many things, but “harmless” simply is not one of them.